More seeds are out in the first round of Australian Goldfields Open on the second day. The victims today were John Higgins and Ali Carter. The Current World Champion suffered a dramatic defeat today! 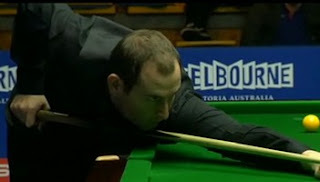 Higgins did not play too well today, far from unbeatable status but still once had a good outlook for the next round, leading 4-1 up on Matthew Selt. The turning point came in the sixth frame, Higgins started to lose his concentration and made some silly misses. Selt started his great comeback plan, playing some amazing snooker - 56, 45 and 63 in three frames to drag a decider from 1-4 down. The Wizard of Wishaw did not improve his performance, letting Selt potted plenty good long pots and 63 to complete the tremendous fightback. 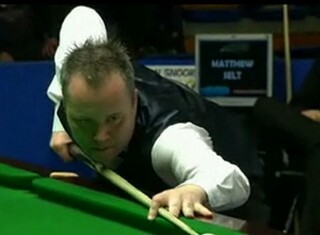 Selt will face Stephen Hendry in the Last 16. Selt after his victory over the 4-time World Champion: "I knew I could compete at this level and career wise beating John is a great achievement. 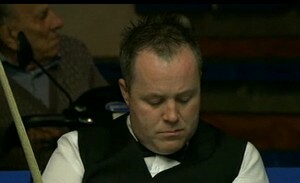 John Higgins admitted he struggled in the new season. "I'm not tired but I just didn't get any rhythm in the World Cup and never felt I was hitting the ball well.'' "I'm disappointed but maybe it's because I haven't put in the hours practising since winning the World Championship.'' Higgins knows he needs to put more time on the table apart from spending his time with family. 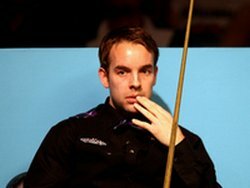 'The Captain' Ali Carter also needed to pack his back and go home. He lost to Marcus Campbell this morning by 3-5 though he knocked a 134 and 2-0 up early on the match. The Captain became homesick after three weeks' competition oversea. "It's been a long time away and by the time I got here my heart wasn't in it and that showed in my performance. "If I had just come here and not done the other two then it would've been different." 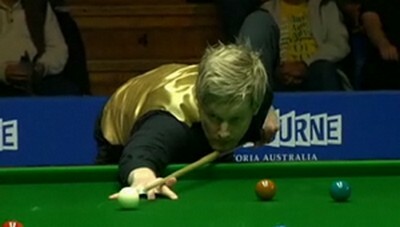 Neil Robertson made his first appearance in Bendigo today. He had an easy win 5-2 over Nigel Bond with 3-1 up before mid session. Robertson had stable long potting today which helped a lot. He is going to meet Dominic Dale, another winner a match of Last 32 by beating Local Steve Mifsud today. Shaun Murphy and Rory McLeod finished their Round 2 match while others are still playing the Round 1 match. Murphy secured a 5-1 win and he believes him not playing in World Cup last week in Thailand could help him in this event. "In a funny way not being at the World Cup could help me out as I'm in the right sleep pattern as I've been here for a week, while others may feel tired so I might be able to sneak through." He added, "I definitely want to be in the World Cup next year and represent my country so I must try harder." Mark Allen who is the runner-up of World Cup last week, maintained a 5-3 victory over Wales' Ryan Day.